"The third and final chapter of the Seafallen story arc brings the characters to the fires of perdition to explore an ancient pyramid. What secrets and treasure await inside?" The story begins in December 2018, continues in January 2019, and finally concludes here in February 2019. Be sure to pick up all three months to complete this huge adventure featuring 9 maps and dozens of new npcs and monsters. This month we added a new Recipe For Adventure card but there is was an error and we skipped a number accidentally. One of the future crates will have the missing Recipe for Adventure #24 along with the usual goodies of adventure cards, miniatures, and modules. 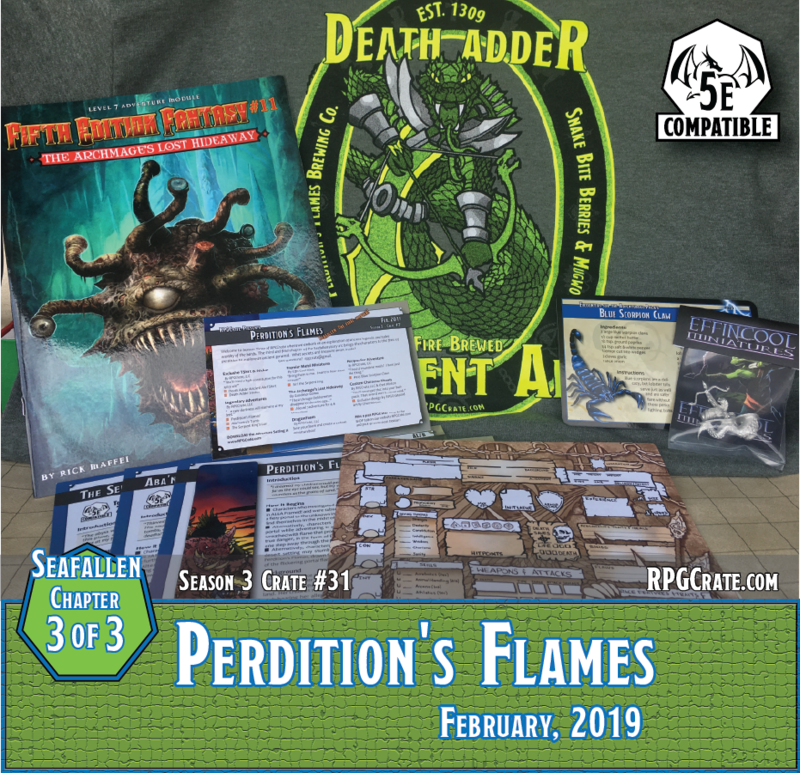 If you missed out on the February 2019 RPGCrate, grab one while they last - supplies are limited.